Wear your little flamenguist with all the comfort and protection with the Flamengo stamped baby romper suit. Made of natural cotton fiber, the overall offers soft touch and comfort. Its design brings the predominantly white color with details in red. More info. 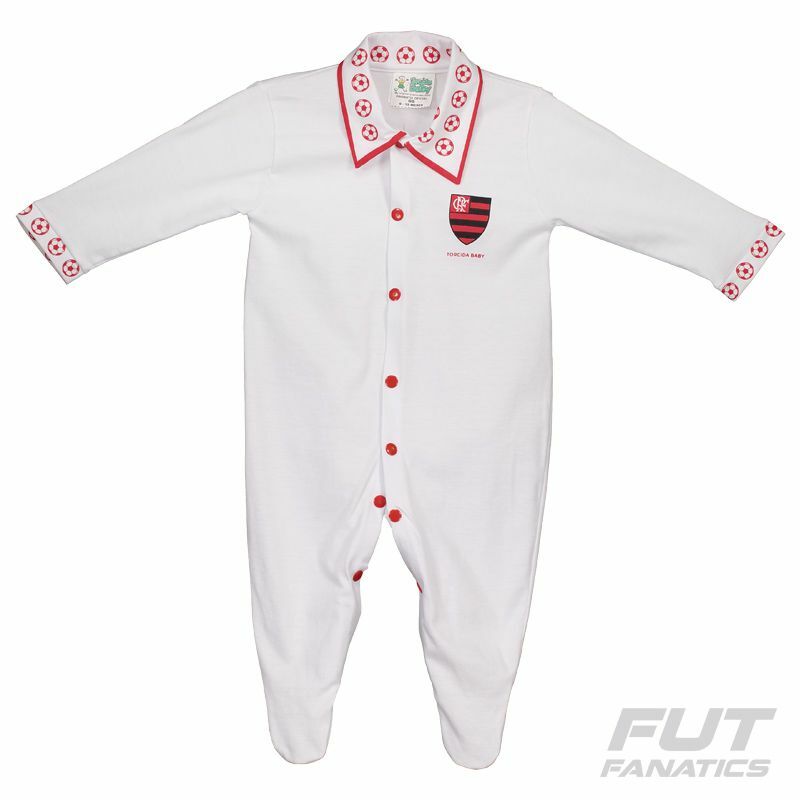 Wear your little flamenguist with all the comfort and protection with the Flamengo stamped baby romper suit. Made of natural cotton fiber, the overall offers soft touch and comfort. Its design brings the predominantly white color with details in red. Features ball designs on the cuff of the sleeves and collar, adding charm to the piece. The collar in turn is polo and the fastening is made with buttons on the front and legs, ensuring more practical day to day. 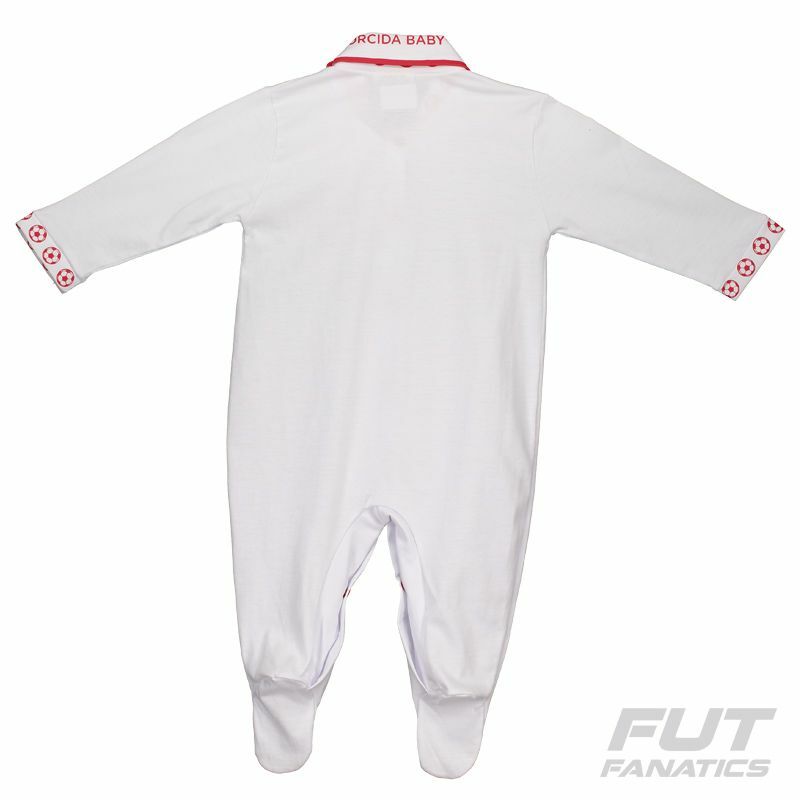 In addition, the piece has small feet and long sleeve, ensuring more safety to the small. Finally, it presents the badge of the team fixed to the left side of the thorax, completing the details. Get yours now and wear your little fan with all the love for Mengão. Clube de Regatas do Flamengo, commonly referred to as Flamengo, is a Brazilian sports club based in Rio de Janeiro. Their most significant sporting outlet is the football team, which plays in the Campeonato Brasileiro Série A, Brazil's national league, and is one of the only five clubs to have never been relegated to the second division, along with Santos, São Paulo, Internacional and Cruzeiro.